Recently I had a custom leather strap made for my favorite Seiko 007 automatic (which is a rock solid tank, I might add). I’m not that happy with it and some of that is my fault, so here’s some thoughts on custom leather work to prevent making my same mistakes and being unhappy. I don’t plan to complain because I don’t think it will be helpful for this particular proprieter. Some people welcome constructive criticism and some take it like water on a duck’s back. I sense he is the latter. Second: Get the order in writing. I asked for a light tan Zulu strap, custom sized, and one band hole. What I got was a dark brown, wrong-sized, wrong-fitting, poorly stitched, conventional strap. Third: Ask for a time target and hold them to it. I kinda-sorta did this but didn’t ask for a hard date and I didn’t check up consistently. 2 months went by. I called to see “how it was going” and wonder-of-wonders my band was being “started” that day because they had been so busy. Yeah right. What I should have done is asked for a reasonable time frame that the project would take. Fourth: Don’t rush it. Otherwise it may look like this. Crap. Fifth: Be clear with your expectations of quality. Obviously I failed. What kind of thread you would like? What kind of leather? Their best work? Spare no expense? Keep in budget? Be precise. This will be very helpful to the craftsmen who may not know or feel comfortable asking these questions. Sixth: Pay attention to the questions asked. These will reflect the competence (and perhaps intelligence) of the craftsmen in question. My Mr. Leatherworker was hurried and not easy to talk with. Another mental warning I shouldn’t have ignored. For your information, this lesson cost me $35. This fraying thread occurred nearly a week after I took the strap. 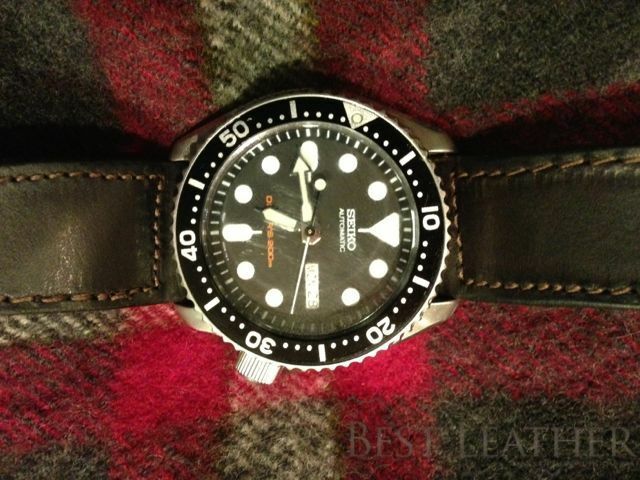 Instead of struggling as I did, save yourself the effort and check out these well-respected leather watch band makers. 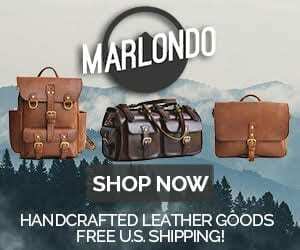 2 Comments on "Custom Leather Work – A Few Thoughts On Getting Your Desired Product"